KIEV, Ukraine -- President Viktor Yanukovych has been steadily losing support among voters over the past four months, but none of his main opponents have gained significantly in the period, an opinion poll shows. Viktor Yanukovych's support amongst Ukrainian voters is on the decline. The poll suggests that the pro-Yanukovych party may face challenges at the upcoming parliamentary elections, but also signals opportunities for new parties to compete for seats in Parliament. Support for Yanukovych has dropped to 12% in November from 15% in June, according to the poll conducted by the Kiev International Sociology Institute. Former Prime Minister Yulia Tymoshenko, who lost the presidential election to Yanukovych in February 2010 and has been jailed for abuse of authority since August, enjoys support of 10%, while former Parliamentary Speaker Arseniy Yatseniuk trails behind with 8%, according to the poll. 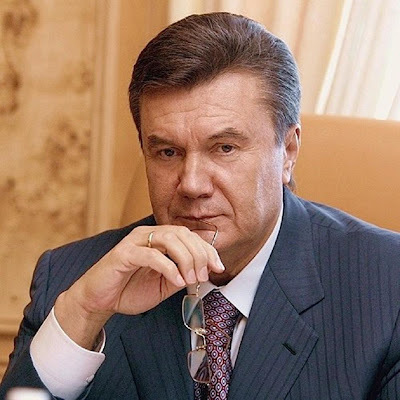 “Over the past four months, the electoral support for Yanukovych has dropped by almost one fifth,” Ukrayinska Pravda online newspaper reported citing the poll. Tymoshenko and Yatseniuk are thought to be the key Yanukovych opponents, while one of the polls earlier this year had suggested that Yatseniuk was the only politician in Ukraine capable of defeating Yanukovych in a runoff. Tymoshenko, who was sentenced in October to seven years in jail for negotiating a controversial natural gas agreement with Russia in January 2009, is awaiting an appeal hearing later this month. Both, the U.S. and the European Union have voiced concerns over the arrest and the prosecution of Tymoshenko in Ukraine amid signs the case had been politically motivated. Yanukovych repeatedly dismissed the concerns, and pledged to insure transparency of the case. Meanwhile, Tymoshenko’s party, Batkivshchyna, and Yatseniuk’s Front for Changes, have been stepping up their activity throughout Ukraine seeking to jointly put pressure on the authorities. The Front and Batkivshchyna led a rally of 4,000 protesters in Kiev on Monday demanding resignation of Yanukovych. The parties also pledged full cooperation at the upcoming parliamentary election in October 2012 by nominating single opposition candidates against pro-government candidates at each of 225 election districts throughout Ukraine. “Our task is the parliamentary election campaign,” Yatseniuk said addressing the crowd on Monday. Meanwhile, the poll also shows there is an opportunity for new parties to win seats in Parliament. Vitaliy Klichko, the heavyweight world boxing champion who leads the opposition party Ukrainian Democratic Alliance for Reforms, or UDAR, has been gaining support steadily over the past four month. Klichko’s rating rose to 4%, up by one third, according to the poll. Klichko’s party last week accused the Front and Batkivshchyna of “collusion” while approving the election law that increases the threshold for entering parliament on party lists to 5% from 3%, which is thought to discriminate smaller parties. A half of Ukrainian lawmakers, or 225, are expected to be elected on party lists in October 2012, while another 225 will be elected in individual constituencies. Petro Symonenko, the leader of the Communist Party, which cooperates with the government of Yanukovych, also managed to increased his support to 4% of respondents in the period, according to the poll.